Beautiful old town of Rovigno (Rovinj), Croatia in Europe. Famous and romantic tourist place for nice vacation. hd00:09Beautiful old town of Rovigno (Rovinj), Croatia in Europe. Famous and romantic tourist place for nice vacation. hd00:10Historical Topkapi Palace and a ferry sailing into Goldenhorn. Topkapi Palace, Sarayburnu shore from the waterside in Istanbul, Turkey. 4k00:15Rovinj , Croatia - Panoramic view of old town of Rovinj skyline in Istria peninsular, Croatia at waterfront street. 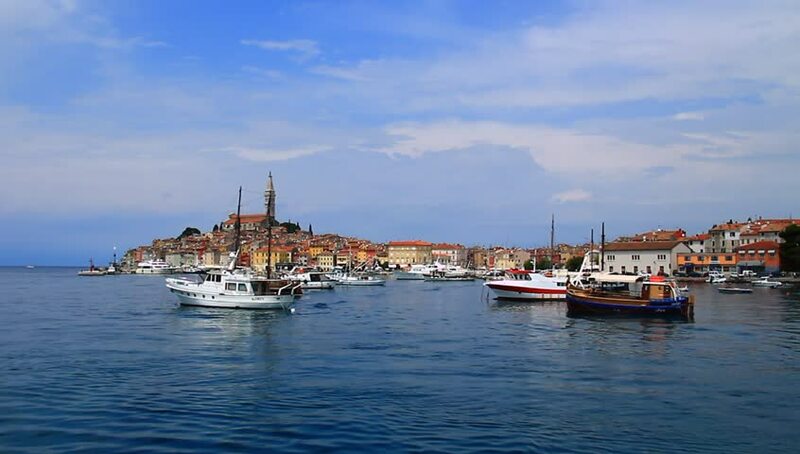 Rovinj is a popular tourist resort, fishing port and culture travel of Croatia. hd00:15ST. IVES, UK - 19 APRIL 2016: Slow motion video footage of traditional Cornish fishing boats in the sheltered harbour of the fishing village St. Ives in Cornwall on the south western point of the UK.